Well guys, after 10 years of searching I was beginning to think none of the few final M2 pads that were built had survived the gaming and electronics shows of 1995-1996. As noted in another thread, one finally surfaced, along with some other really nice M2 items. Even more surprising is the fact that it is a fully functional pad. I had been told years ago by a Panasonic employee that the final pads were mock-ups, so it was even more of a surprise to find a pad like this. Most of us have seen the few pictures in gaming magazines of the time showing this pad alongside the console. The pad has an analog steering wheel, analog joystick, D-pad, 7 face buttons, 2 shoulder buttons, and a trigger button on the back. 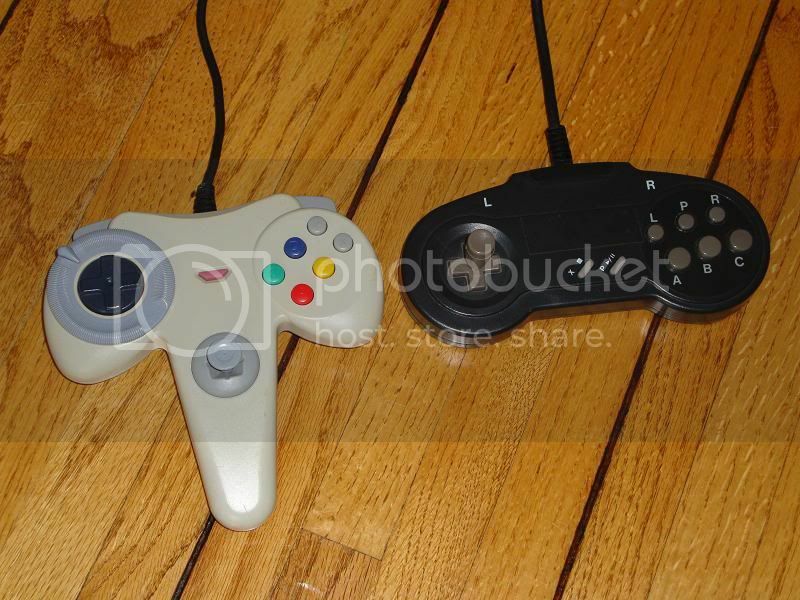 Pictured next to a black M2 proto pad. Analog stick working! And then the steering wheel: Like the Namco NeGcon. If you have time: I would like to see the M2 logo. Thanks. It arrived! Amazing! How many degrees of turning does the analog steering wheel move? Maybe the rarest and greatest M2 item!! Thanks guys. I was almost certain that none of this stuff that was shown at CES/etc. survived. NikeX wrote: Analog stick working! And then the steering wheel: Like the Namco NeGcon. If you have time: I would like to see the M2 logo. Thanks. Will do. I'll try to get something up in the next few days. The analog wheel gives about 100 degrees of movement. Where did you purchase such an item? Check one thread below this one. Yeah, it popped up on Yahoo Japan. The seller didn't seem to know much about it. They didn't even know if the M2 console worked or not. 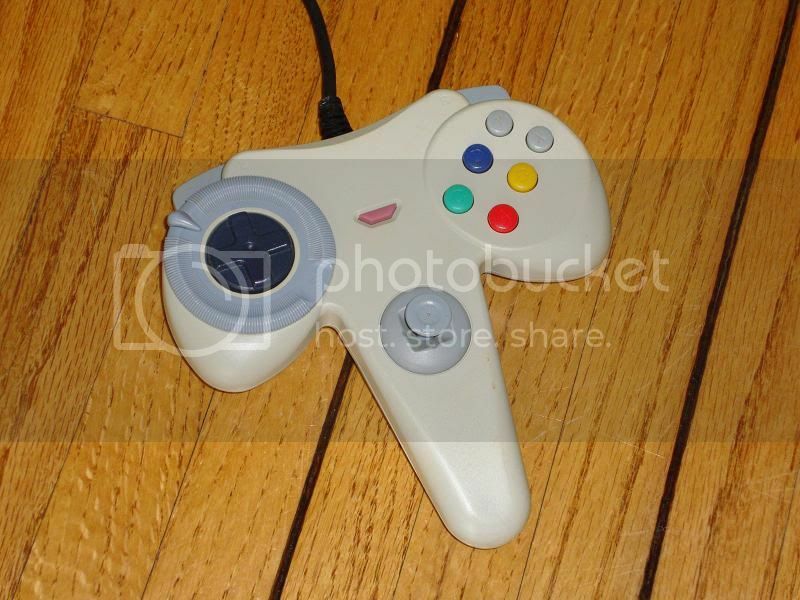 I have a habit for over-exaggerating but is this one of the best controllers ever made or what? It's basically a Nintendo 64 controller which is nearly as versatile as the modern controllers but even better (Yes, I liked the N64 controller...) The D-Pad seems to be on par if not better than the N64's and the wheel would be perfect for old Paddle game collections...Imagine all the Atari hits, Pong, Circus, Warlords with that thing! 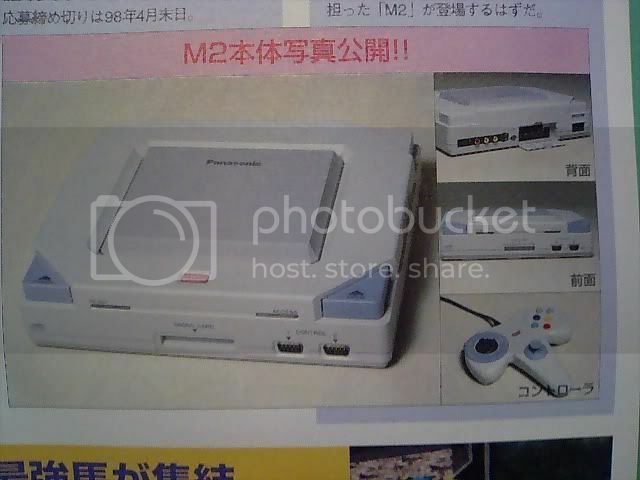 Yes, maybe the M2 would have been a slightly less powerful Dreamcast...If I cared, I would be saying the same thing about the 3DO and the Sega Saturn if the 3DO never came to be...The M2 would have been great. It's especially sad when there was even a promised game, D2, which was scrapped and made from the ground up for the Dreamcast. 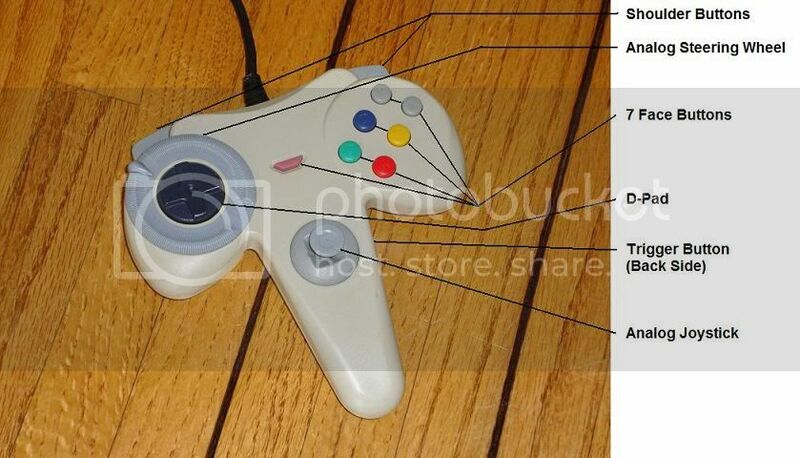 That looks like the least ergonomically designed controller I've ever seen! 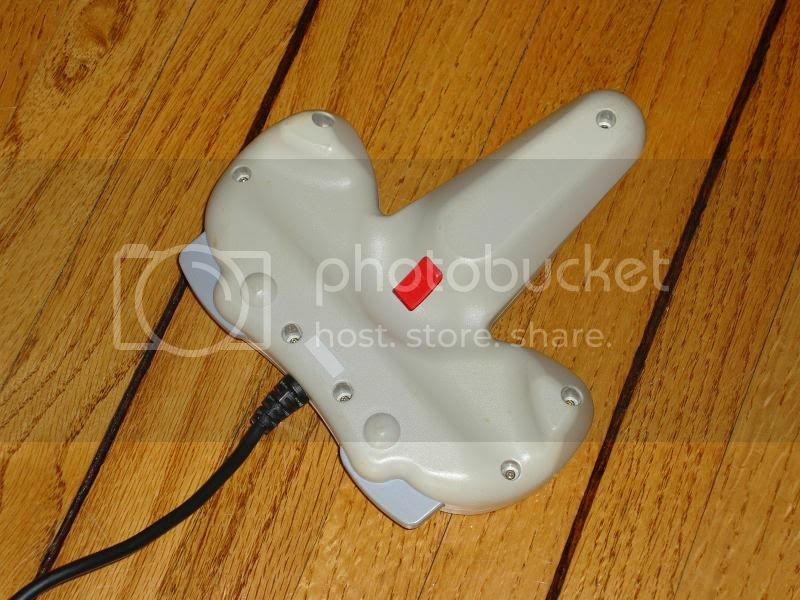 senjaru wrote: That looks like the least ergonomically designed controller I've ever seen! not seen many pads, no? You sound British. Here in the States, we call them doorbells.